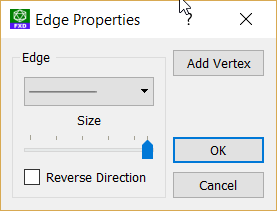 You now have a greater number of options that you can apply to edges of polygons. Previously, if you right-clicked on the edge of a polygon, you would be given these options. In the latest version of FX Draw, you now can add text to each edge of a polygon. 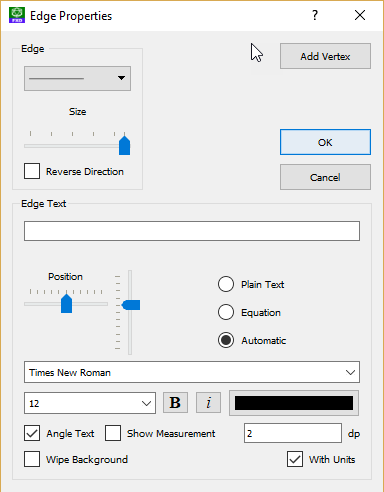 The text can, if you wish, show the measurement of the edge. The new edge options were added as part of the FX Sketch upgrade to FX Draw.